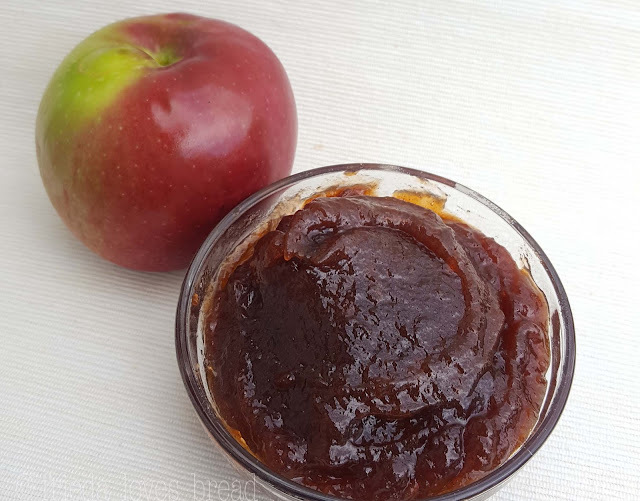 Apple Butter is essentially a super thickened applesauce, cooked slowly so the sugar caramelizes and turns into this sweet, cinnamon-y, deep brown spread that is a wonderful Fall treat. 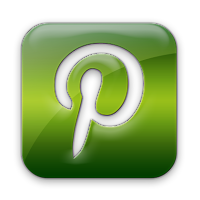 Since apples naturally contain pectin, it is very similar to an apple jelly. Most recipes call for slow cooking over 14-20 hours, and using your pressure cooker will definitely help reduce this cooking time! This was my first time making apple butter and I wasn't sure how "thick" the consistency should be. 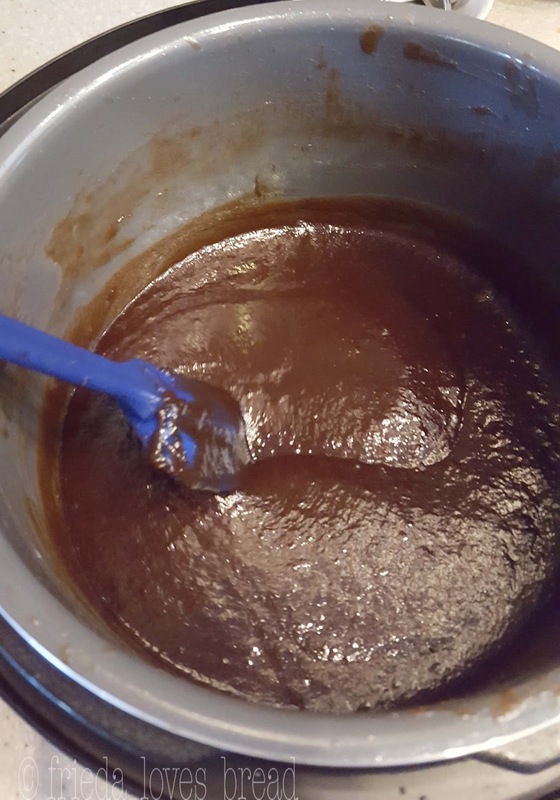 Apple butter does thicken while it cools, so if it is too thick for you, you can add some apple juice to thin it out to your desired texture. Apples can vary widely in water content, depending on the variety and growing conditions. I used my Instant Pot Ceramic liner for making this apple butter. I loved the fact that I didn't have to worry about the sauce burning and sticking to the pot. This ceramic liner is great for anything that can stick: rice, oatmeal, Macaroni & Cheese. You will want to use a heat resistant silicone spatula or a wooden spoon while stirring, as not to scratch the finish. Apples that work best are sweet, meaty apples like Gala, McIntosh, Winesap or any of the baking apples found on this applesauce post. 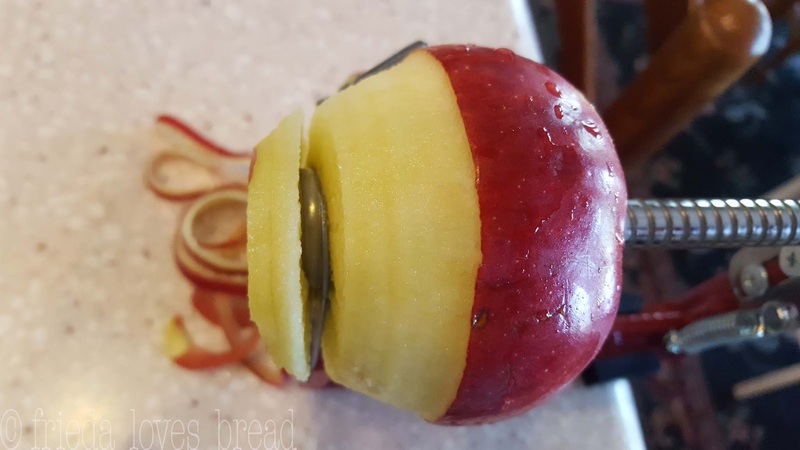 Using a mix of apples will create a unique final product. Don't use Granny Smith or Honey Crisp apples as they are too tart or too sweet for this recipe. 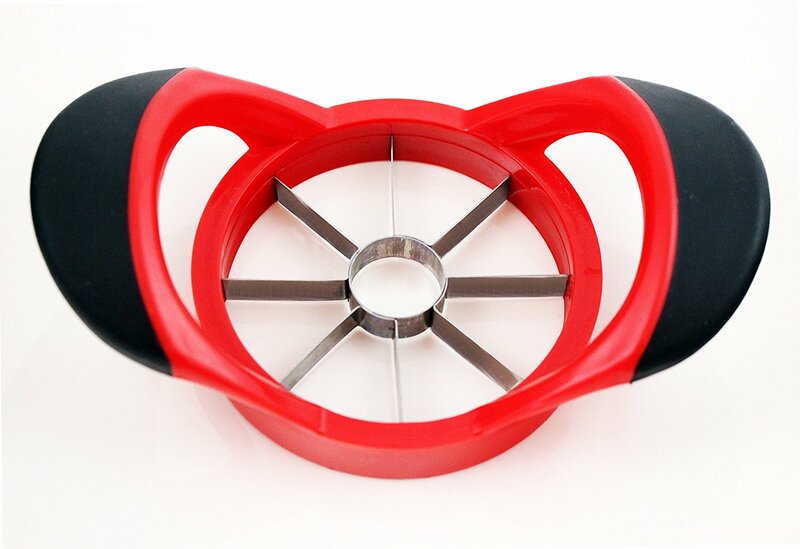 Cutting & Peeling I love using this Apple corer, peeler, spiralizer. It is so FAST - it took less than 10 minutes to prep 4 pounds of apples. You can opt to leave the peels on, but you do need to core and cut the apples. This Apple Slicer/Corer does a quick job. This recipe uses 1 cup of sugar for every pound of apples, which is very sweet. You can use any combination of sugars, and brown sugar will give your apple butter a taste of molasses. Sugar is necessary in making preserves to help it set up, gel or thicken, and increase the shelf life. You can reduce the amount of sugars, but your finished apple butter may be more runny, need a longer cooking time, and end up yielding less. Since I am planning to can or preserve this apple butter, the recommended amount of sugar will ensure that it will have the maximum shelf life. When sugar is decreased, the shelf life of your apple butter is decreased. TIP: When the apple butter is cooking down, it may look lava-like, bubbling and popping from your cooker. 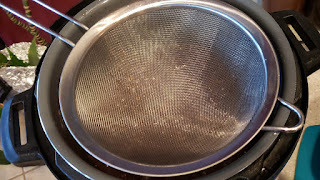 If this is the case, you can use a spatter screen, or a large mesh strainer to help. Your other option is to reduce the heat, using the highest slow cooker setting or simmer setting of your cooker. 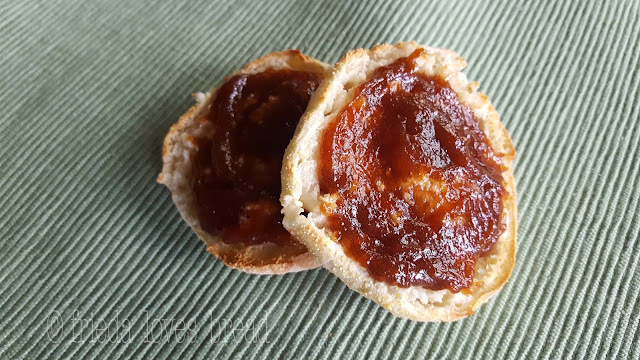 This apple butter turned out much better than I anticipated - got a "double thumbs up" from all of my family members and I can't wait to try it with other foods! Use this utterly delicious spread on freshly baked bread, toast, pancakes, muffins, swirl it through oatmeal, fresh yogurt, mix in smoothies, spread on crepes, waffles, or make a cookie sandwich filling with oatmeal cookies. 1. Wash apples. Core & cut the apples into eighths. You can peel the apples, if desired.2. Put apples into pressure cooker insert.3. Pour water or apple juice into cooker.4. Dump sugars and spices on top of apples; Do Not Stir.5. Close the pressure cooker lid & close the pressure cooker valve.6. Select HIGH pressure for 10-15 minutes. Large cut apples will take a longer time.7. When cook time has finished, use at least a 15 minute natural release. 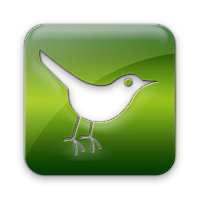 You can use a full natural release, if desired. 8. Open pressure cooker valve and lid. 9. Puree the apples with a potato masher, immersion blender or food processor. 10. With the pureed apples in the pressure cooker, select Saute LOW or a low browning setting. Set your timer for 30 minutes, as you will need to restart the Saute setting every 30 minutes. 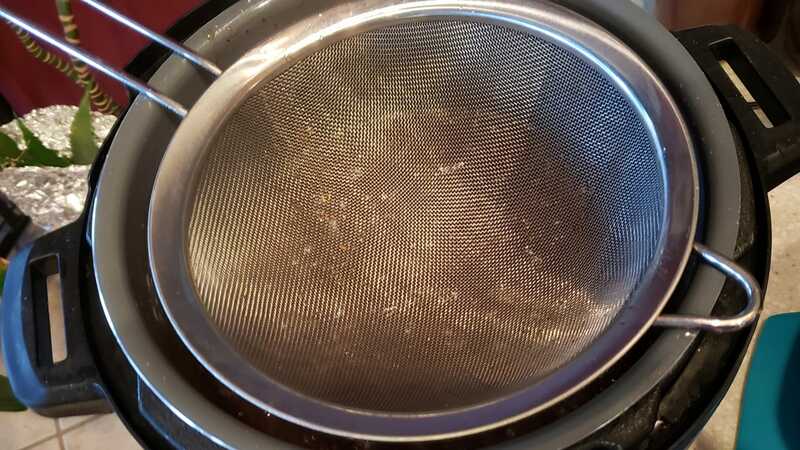 Stir every 30 minutes, until desired thickness is reached, about 45-90 minutes. Stirring helps keep the spattering down, so as the apple butter thickens, stir more frequently. If your setting is too hot, switch to a slow cook setting.To check for consistency, put a small plate in the freezer for a few minutes. Put a small spoonful of apple butter onto the chilled plate. If liquid leaches out around the apple butter, it needs to cook a little longer. If not, it is ready. Keeps well in the refrigerator for 1-3 weeks. *Note: I used a 50/50 mix of granulated sugar and brown sugar. This was the amount of sugar recommended for bottling the apple butter, but you can reduce this amount if you wish. The sugars help thicken and caramelize the apple butter and contribute to the shelf life.